With the end of summer nearing, now is a wonderful time to ask kids to reflect on everything they did and learned during their time away from school. Whether your kids are heading back to school right away or whether they have a few more weeks off to enjoy, they’ll love recalling all the exciting adventures they shared with their friends this summer. 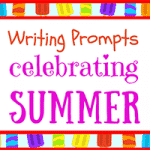 In these 31 new journal prompts, students will write about everything from their dream summer vacations to the friends they get to spend time with during the year’s warmest months. They’ll reflect on the merits of summer homework, the goals they hope to achieve next school year, and the unique qualities that make summer such a special time of year. 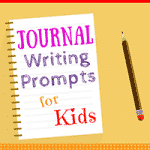 Because summer often means a break from the routine of daily writing for many students, these summer journal prompts are the perfect way to get kids back into the habit of journaling. 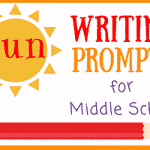 Even students who aren’t always excited to write will be eager to share their stories of summer vacation! Use these journal prompts to get kids interested in writing, sharing, and reflecting again—and prepare to wrap up summer on a high note! 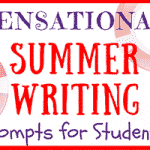 Write two stories about your summer vacation—one that is real and one that is fictional. Share your work with a couple friends and try to guess which stories are true. What is your favorite way to spend the final days of summer? Which month of the summer did you enjoy the most? Why? Think of something new that you started doing during the summer that you would like to continue during the school year. Then, come up with a plan to incorporate it into your daily routine. When do you start to feel like summer is over? Why? Are you looking forward to going back to school? Why or why not? 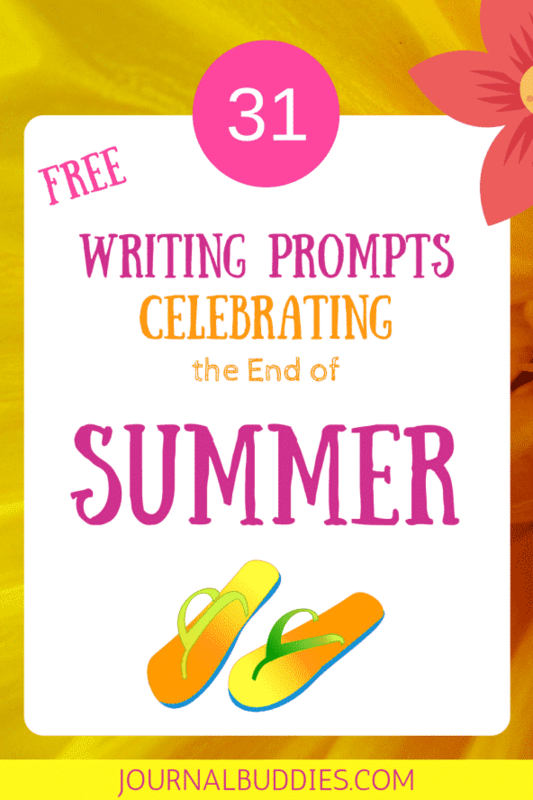 Write a poem about summer coming to an end. August 6th is Friendship Day! 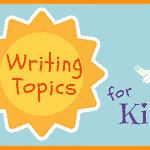 Write about the most exciting thing that you and your best friend did this summer. Do you think teachers should be able to assign summer homework? Why or why not? Write a list of everything you did this summer. See if you can come up with something for each letter of the alphabet! How will you spend your final week of summer? Does your family have any special activities planned? Do you ever feel like time moves faster or slower at the end of summer? Why or why not? Write a story about you dream summer vacation. Where would you go? What would you do? If you could choose any season to last all year, would you choose summer, fall, winter, or spring? Why? Think back on your summer and write about something you did that you’re proud of. What makes this accomplishment so special? Do you think it’s something you could have achieved during the school year? Write a story about a year with no summer. What do people do? Do the kids ever get a break from school? What happens to the sun and the plants? What was your favorite way to stay cool during the summer’s hottest days? Did it work well? Think of something that you wanted to do all summer and didn’t get to do yet. Can you make it happen before the end of summer? How will you achieve your goal? Set one goal that you’d like to achieve during the next year school year. What will you do to make this goal a reality? Think back on the summer. What was your favorite part? What is your favorite memory? What is the best summer food or drink in the world? What makes it so delicious? Write a short story about the perfect last day of summer. Do you enjoy shopping for new school supplies at the end of the summer? Why or why not? What was the coolest thing you did outside during the summer? If you could choose any one day from your summer to re-live, which would you choose? Why? Write an ode to your summer. Make sure to describe your favorite parts in great detail! Why does summer feel so different from every other season during the year? Is there more to it than simply being away from school? What part of the new school year are you most excited about? Why? Do you have any friends that you get to see more during the summer than during the school year? Why is this? What are your favorite things to do together? What was your favorite song to listen to this summer? What did you like about it? Do your parents look forward to you going back to school? Why or why not?